This easy-to-use electric lift with loower base height maximizes stability and fits under most beds. 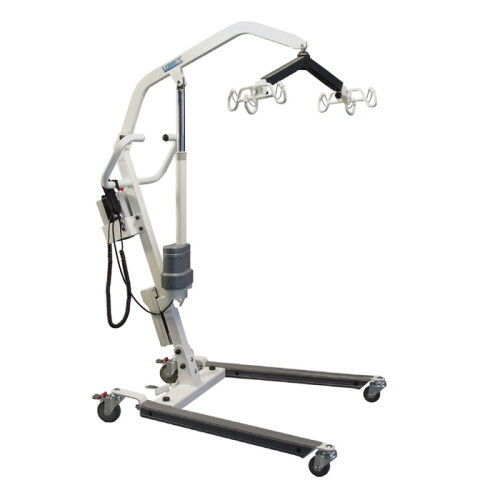 The Lumex make transfers easy and will pick an indivdual up from the floor. 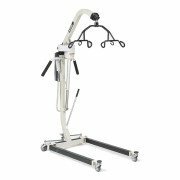 Large, easy to grip handles for easy maneuvering. This lift is very afforadable and perfect for home use and also has an optional digital scale. 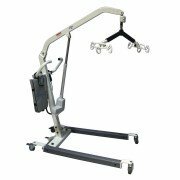 The Lumex Everyday Electric Lift is an electric powered mobile sling lift that assists caregivers with lifting and transferring residents. 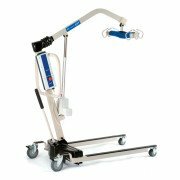 Features include heavy-gauge steel construction, a six-point spreader bar with 360° rotation tilts, ergonomically designed hand pendant with pendant hook, and blue powder coated finish. Spreader Bar Max Height: 64"
Spreader Bar Min Height 15.5"
Inside/Outside Width of Base Opened: 33.5" / 37.5"